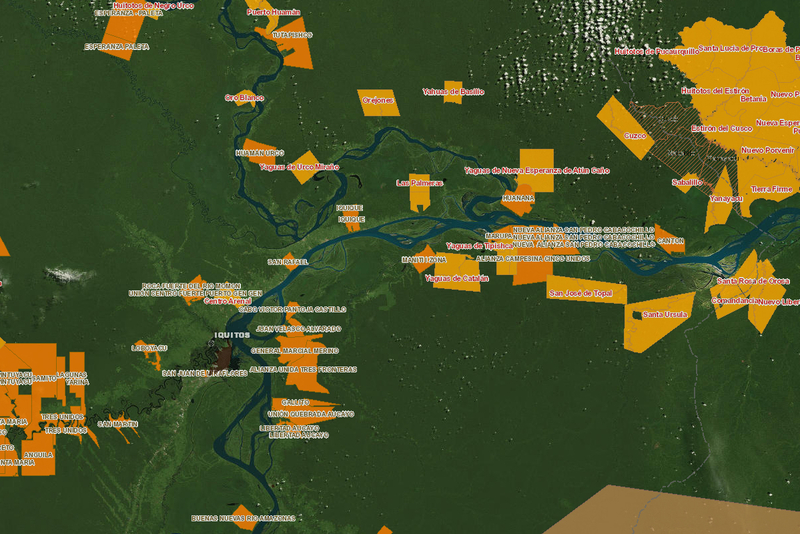 A map of indigenous peoples’ territories in the Peruvian Amazon. New scientific research supports the ecological benefits of IBC's community-driven approach, finding that in the Amazon, "[community land] titling reduces [forest] clearing by more than three-quarters and forest disturbance by roughly two-thirds in a 2-year window spanning the year title is awarded and the year afterward." Brendan Schwartz (brendan.schwartz@iied.org) is a senior researcher in IIED'sNatural Resources research group and was co-Facilitator at the Workshop in Kenya. The five organisations involved in the Community Land Initiative are Instituto de Bien Commún (IBC), from Peru; Ecolex, from Ecuador; Community Assistance in Development (COMAID), from Cameroon;Tanzania Natural Resources Forum (TNRF), from Tanzania; and the Indonesia Community Mapping Network (JKPP), from Indonesia.